Esquire is a privately owned black empowerment company with a management team and staff from diverse backgrounds that understands that successful businesses are built through strong relationships, a culture of hard work, opportunity creation and delivery of commitments to customers and vendors alike, as well as to be responsible members of the community and the environment. 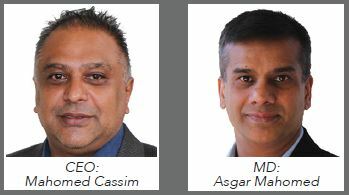 Esquire Technologies has grown for two decades to become an award winning, leading-technology company of IT, Digital Lifestyle, Consumer Electronics and Mobility products from international vendors around the world. Esquire distributes and provides end-to-end solutions primarily too small to medium business (SMB) resellers and retail partners regardless of size that support the technology needs of end users including businesses, educational institutions, government agencies, and consumer markets. We strive to be the distributor of choice that operates on global principles to deliver best-of-breed products to the benefit of all stakeholders. Esquire Technologies believes in innovative and creative ways of doing business. We are the first IT Lifestyle Company to open a retail-type store, called Xpress Stores. We have also created the one of a kind online Virtual Reseller Network. promotion of world class brands; value added services, as well as business-to-business excellence such as the African Distributor of the Year in Monte Carlo at the Distree Events in 2012, 2013 and 2016 as well as the Distributor of the Year in South Africa at the 2009 CRN Outlook Awards and the Metropolitan Oliver Empowerment Award in 2010. Adding value and continuously developing our distribution services is a corner stone of our business, we offer valued services like VMI (Vendor Managed Inventory), category management and marketing as well as a range of different activities supporting sales & visibility in retail stores. All designed to make work in the retail chain as efficient as possible. Esquire Technologies has a product range that is continuously developing, being refined to match our client's needs, constantly expanding and includes the latest technologies. PC Components: Esquire distributes the complete set of building blocks required to develop a full system including chassis, motherboards, memory, hard drives, video graphics, processors and optical storage solutions. Digital Lifestyle and Consumer Electronics: Esquire's well stocked portfolio includes the full spectrum of multimedia centres, digital photo frames, digital audio players, LED TVs, projectors, DVD players as well as digital cameras and High Definition camcorders. Gaming: For the avid gamer, Esquire stocks high-end graphics cards, overclock able gaming memory and top of the range cooling systems and also Sony PlayStations, Microsoft Xbox and Gaming PCs. Accessories and Peripherals: This includes mice, monitors, printers, scanners, USB devices and accessories for a complete computer solution for the workplace, home and mobile application. Networking, Security and Surveillance: Esquire offers a comprehensive selection of active and passive networking equipment as well as a total security solution including camera, digital video recorders and accessories and cabling. Servers: Esquire designs, configures and implements servers for Small-Medium Enterprises. 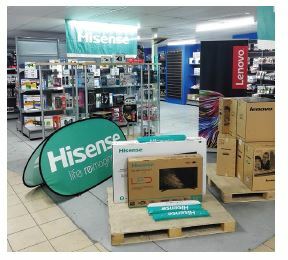 Since the opening of the Durban branch and Xpress Store, we have contributed tremendously to the community by creating direct and indirect jobs and opportunities for the KZN region. We plan to continue our events and donations and contributions through the Minara Chamber of Commerce. We strongly believe in growing our customers and thus assisting to grow the economy. Esquire Technologies believes that empowering the communities and the youth we work with is of utmost importance. This grows not only our company but South Africa at large. We value skilled workers who understand the organisation's strategic direction and position themselves for growth and development. It is vital to implement strategies to align the workforce with future business needs. We therefore provide Skills Development and Training for Management and Employees. A motivated employee wants to contribute to work areas outside of his specific job description. 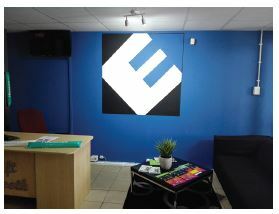 At Esquire we try to motivate our Management and Employees by allowing opportunities for growth and various incentives. Staff members must feel rewarded, recognized and appreciated. We believe that constant communication and an open-door policy with staff is vitally important. This year July, Esquire Technologies is proud to be celebrating 18 years in business. This great achievement in business is celebrated with plenty of fun and activities at our branches. We would like to thank our customers for their continuous support and trust in the Esquire brand. Esquire birthday celebrations: Esquire is kwaai!